Cabo vacation rental properties are great because they provide you with full amenities such as kitchens. 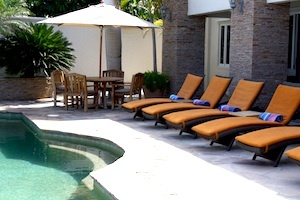 Often you will have direct access to beaches or even a private pool and spa. You have more privacy and luxury with a Cabo San Lucas vacation rental as well as more space. Whether you are looking for a monthly rental in Cabo San Lucas or a luxury villa over looking the beach, there are plenty of options. If you are looking for a vacation rental, there are many places to find one. If you are looking to rent directly from an owner, you can check many different sites. VRBO, Craigslist and other classifieds are great places to start a search for a Cabo vacation rental by owner. You can also check out our directory of Cabo rentals by owner. There are many Cabo rental companies that will help you find the perfect vacation rental. These companies usually have large databases of villas, condos or other rental properties. This helps you compare a lot of properties at once. The benefit to booking through one of these companies is that they often times can help you book those extra services like private chefs, drivers, golf tee times and fishing charters. Some rental companies focus on condos and smaller house and other focus on high end luxury villas. The Cabo rental companies listed below focus on everything from studio condos to villas. If you are a Cabo rental company looking to be listed, please contact us. Cabo Homes and Condos rents vacation homes and condos in Los Cabos. 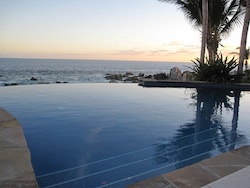 Los Cabos Vacation Rentals offers villas and other vacation rentals in Los Cabos. 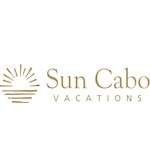 Sun Cabo Offers top of the line rentals. They also offer resort deals. 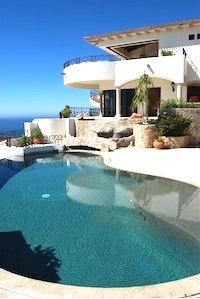 If you are looking for a luxury vacation rental in Mexico, Cabo San Lucas is one of the best spots. Many celebrities and wealthy people have large gorgeous homes in Cabo that they often rent out. Renting out a luxury villa or condo gives you more privacy and space than a traditional resort or hotel. The great thing about villas and luxury condos in Cabo is that there are many villas companies like Sun Cabo with large directories. These companies can help you with extras like chefs and transportation as well. Villa rentals in Cabo San Lucas are very popular. Cabo villas are usually large luxury homes with many bedrooms and amenities such as work out rooms, infinity pools and high end appliances. They often feature more than one master bedroom. Most villas are usually beachfront homes or are located in one of Cabo’s luxury communities such as Pedregal, Palmilla or Las Ventanas. 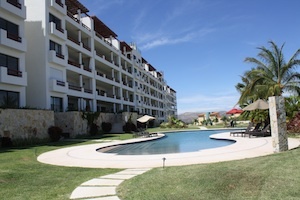 Recently, many luxury condo properties have been built in the Cabo area. Most condos are furnished and are fully equipped with kitchens, electronics and laundry facilities. 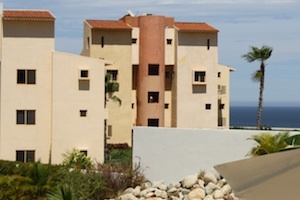 Many resorts in Cabo offer condos which offer renters full access to the facility. 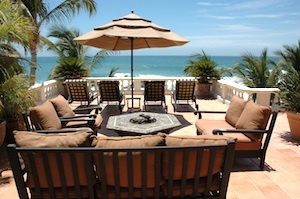 There are many large 3 and 4 bedroom penthouse condos with great views of the ocean. Longterm rentals in Cabo are perfect for travelers who are looking to rent a condo or home for several weeks or even months at a time. There are many “snow birds” from the United States or Canada that spend most of the winter in Los Cabos. If you are looking to rent in Cabo for only a couple weeks, many condos or timeshares have weekly options (some require a one week minimum). House rentals in Cabo San Lucas are usually arranged through rental companies or by the owner. Most have weekly and monthly rates available. There are many condos in walking distance from the Marina or Medano Beach. Condos are usually fully furnished with kitchens and range from studios to three and four bedroom units. If you are looking to book a condo in the area for an extended time during high season, you should plan ahead. 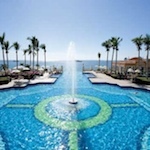 Timeshares are another way to rent in Cabo. Many timeshare owners are unable to use their time at their timeshare property and are lookin to rent it out. These can be an inexpensive way. Most are timeshares are for a week or longer. While most vacation rentals do not have a concierge, there are plenty of amenities you can add onto your stay. If you book through a rental company, more often than not they can help you arrange activities, spa services, grocery stocking and more. You can also book some of the services through local businesses as well. Companies like Cabo Sitters & Care can come to your vacation rental and watch your children or pets. Private Rentals, Rent direct from the owners.